Organizations led by dreamers struggle to keep up with all the changes. Doers want to settle down and create stability. Dreamers create chaos. 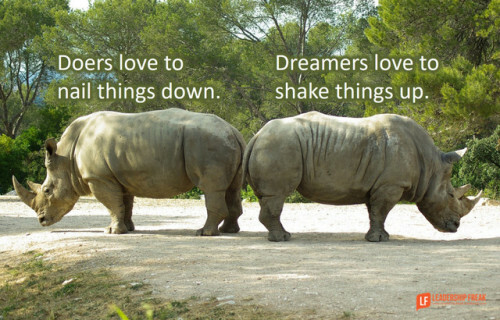 Doers go stagnant.